The Certificate III in Education Support and Certificate IV in Education Support dual qualification will equip you with the skills required to support students with different developmental issues, and the knowledge needed to guide the responsible behaviour of children and young people in a safe and supportive environment. You will also learn how to assist Teachers in delivering planned education programs, support the development of literacy, numeracy and oral skills, ensure the learning environment is inclusive and relevant, support and protect children and young people who are at risk of harm, ensure the effective functioning of a classroom and understand and apply a range of principles and processes to facilitate student learning. Upon completion of this course, you will be qualified to work as a Teacher Aide, Education Assistant or Education Officer. You may also choose to work as a Special Needs Teacher Aide, assisting Teachers in educating children with learning difficulties. Across all roles, you will encourage participation in classroom and other school activities to develop the skill sets and increase the confidence of children. These courses also require a minimum of 100 hours of work placement in an education environment and a supervisor able to sign off on practical demonstration elements. You will also be required to undertake the unit HLTAID003 Provide First Aid through an external provider. 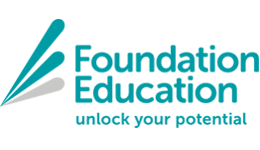 Upon successful completion of this course you will receive a nationally recognised, accredited Certificate III in Education Support (CHC30213) and Certificate IV in Education Support (CHC40213) from Foundation Education. With this dual qualification, you will gain job-ready skills to potentially start your career in teaching or special needs support with practical experience and foundational knowledge behind you, giving you an employment advantage.